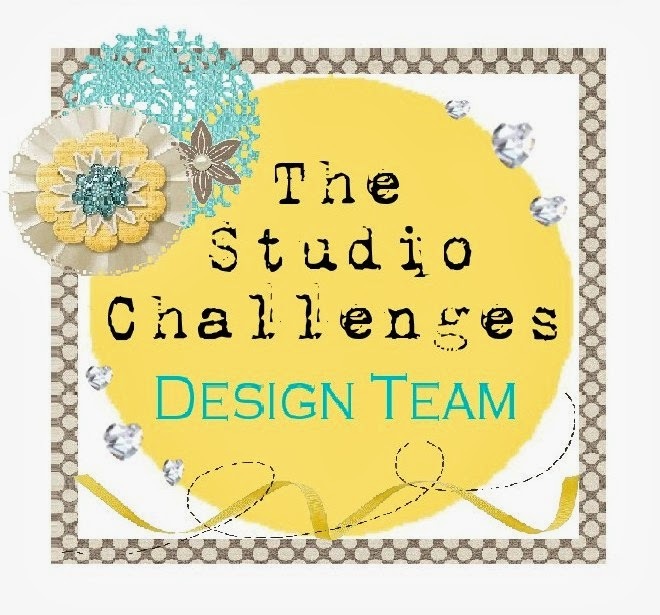 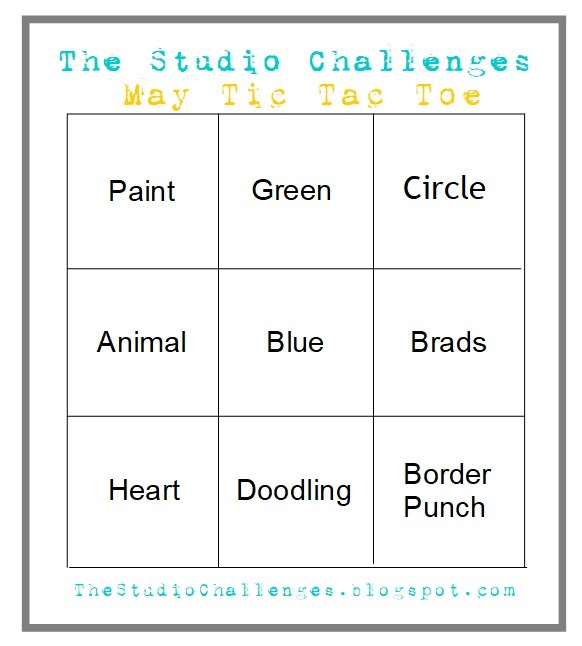 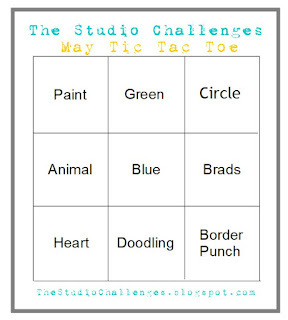 Today we have a tic tac toe challenge at the studio challenges for you! For my background, I used lots of paints, stamps and stencils. For my title I used the alphacutfile from the cut shoppe. 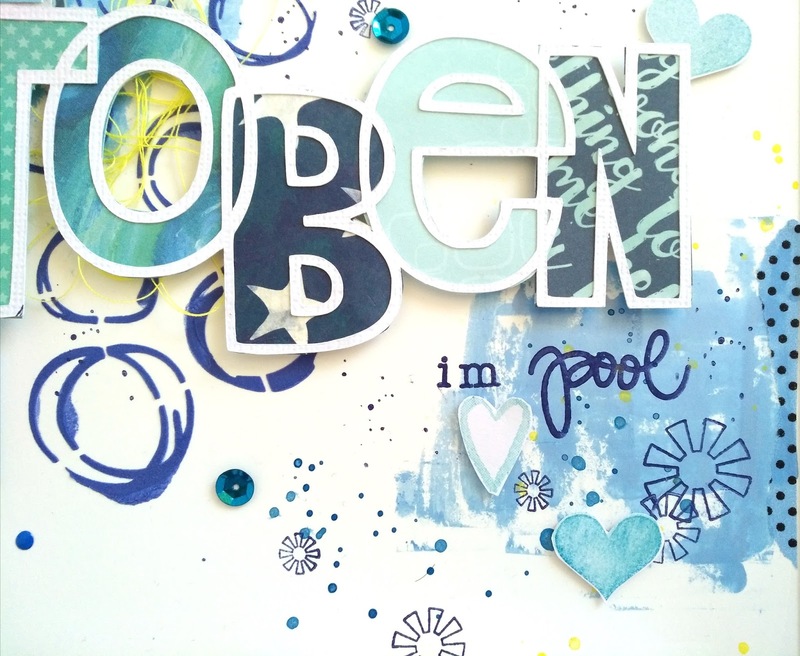 I welded the letters in my silhouette programme and backed them with patterned paper. 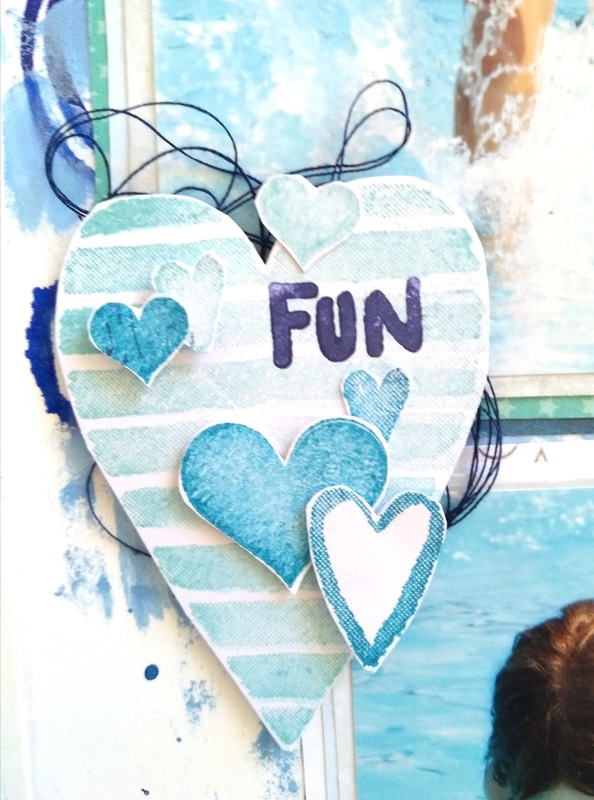 I stamped some hearts and fussy cut them out.